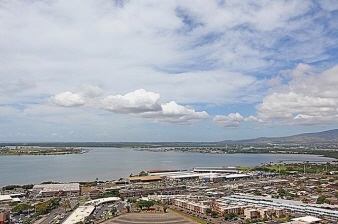 The 19th Floor Has An Unobstructed View Of Pearl Harbor, The Ocean, Mountains And City All The Way To Waikiki. New Flooring And Remodeled Kitchen. This Is A One Of A Kind And Easy To Show. Interest Rates Make This Owning At The Price Of Rent.